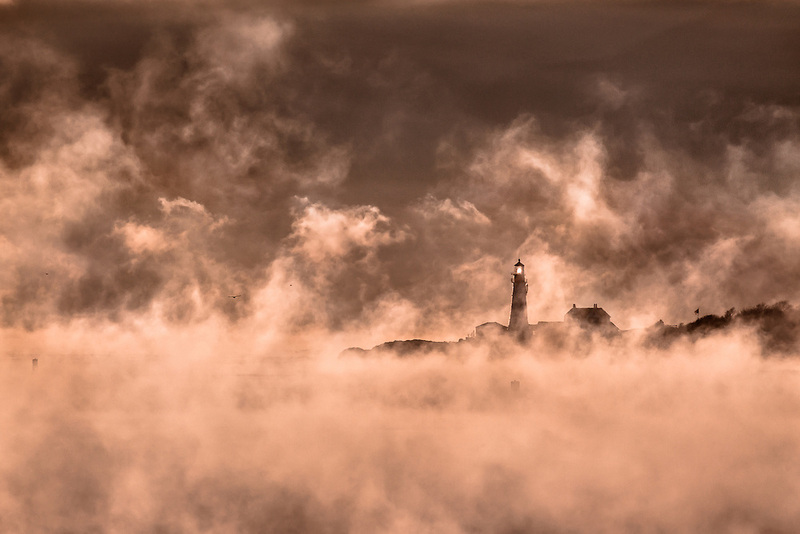 The conditions couldn't have been better to capture some sea smoke from Fort Preble in South Portland. By climbing up onto the old battlements, I was able to get a clear line of sight to Portland Head Light. I used a 400mm lens to compress the scene and draw in the lighthouse. This also made it possible to have a nice dark background because of the cloud bank that was low on the horizon.